Alice Springs in Australia - its location smack bang in the middle of the continent makes it THE place to go if you want to see some of the Australian Outback. ...when the first explorers and then the first settlers ventured into the red heart of Australia. 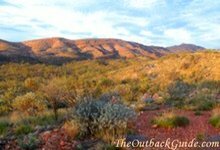 As much as I am a fan of Australia's far north and the tropical regions, there is no denying that Alice Springs is the heart and the centre of the Australian Outback, both in a geographical and a metaphorical sense. 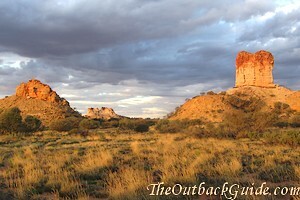 Last time I visited central Australia I spent four weeks in the Alice Springs area. That was in April. April is in my opinion the best time to visit Alice Springs, Australia. Find out why, find out how to get there and how to get around. What is the best time to visit Alice Springs and central Australia? Interactive maps, town maps, regional maps, and free, printable maps. This link takes you to TripAdvisor. There you can read reviews for individual hotels and backpackers written by other travellers, but mostly Tripadvisor is good for finding hotel special deals, flight/accommodation packages, car hire deals etc. A similar and maybe even better service is HotelsCombined, an accommodation search engine that compares prices at all online booking sites and finds you the best Alice Springs accommodation prices with one click. Ayers Rock is the main reason people travel to Alice Springs (and Australia). This is the next most popular destination from Alice Springs. Many tourists go on tours that take them to Uluru, Kata Tjuta (the Olgas) and Kings Canyon, "the big three". The unsealed Mereenie Loop Road is a scenic drive that provides an option to get from Uluru / Kings Canyon to the West MacDonnell Ranges without backtracking. At least as beautiful as the West Macs, close to Alice Springs, with a sealed road up to Trephina Gorge... But for some reason most tourists don't seem to be aware of all that. I love this area.